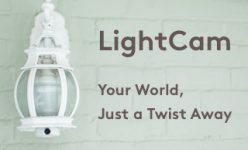 LightCam is a versatile security camera and lightbulb that keeps you connected to what matters most. 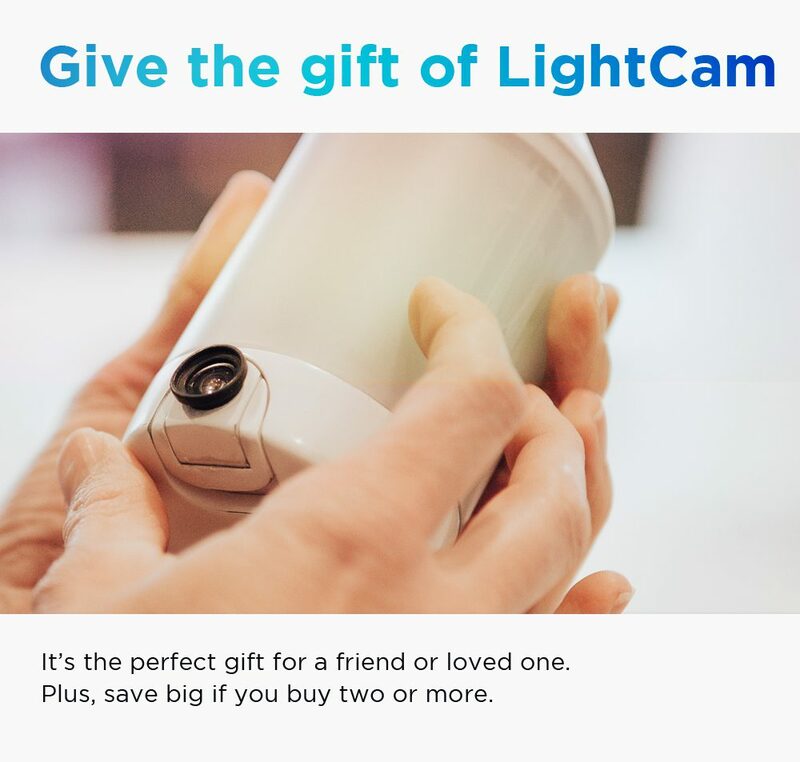 Get your LightCam at over a 52% Discount and be one of the first people in the world to have one! Get 3 LightCams at the best pricing ever 58% discount!!! And be one of the first in the world to get your LightCams! 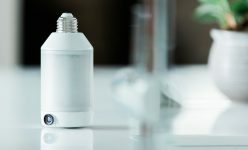 LightCam is a controllable smart light bulb paired with a fully adjustable HD (1080p) security camera that lets you see anywhere you have a standard light socket and WiFi. How do I set up LightCam? What if someone steals my LightCam? 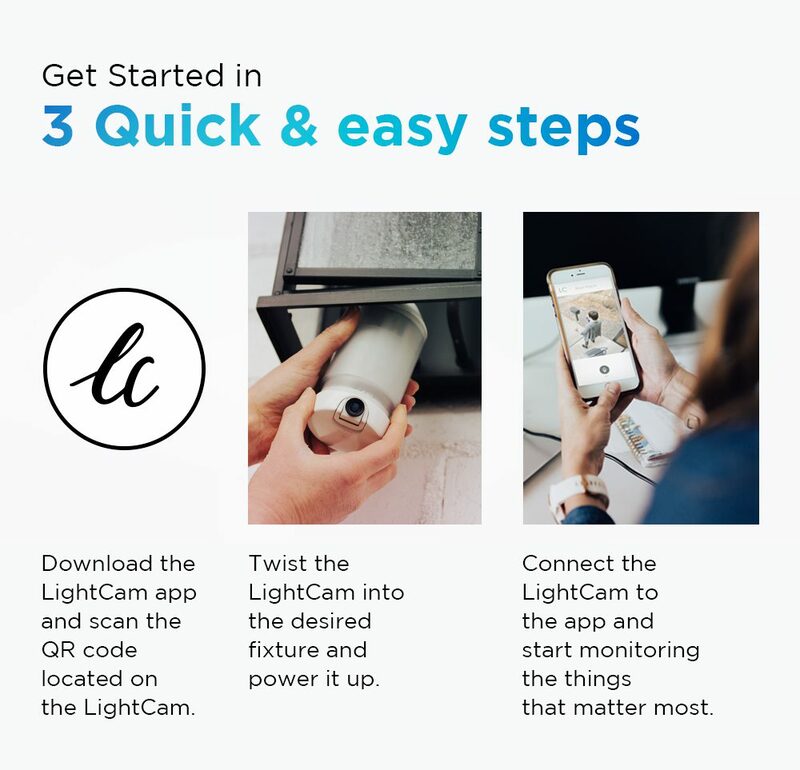 Your LightCam comes with a unique QR code that when scanned will associate the device with your LightCam account. That means whenever LightCam tries to connect to WiFi you’ll get a notification through the app, asking if it’s you. Bottom line: no one can use your registered LightCam without your permission (but don’t worry, you can transfer ownership to another account if you need to). How conspicuous is the camera on LightCam? While LightCam doesn’t claim to be a part time ninja, with a camera lens less than one inch in diameter it definitely keeps a low profile! And with the led lights at full power it’s very difficult to tell that LightCam is anything other than a regular lightbulb. Many smart cameras come with little to no onboard storage; how does LightCam compare? 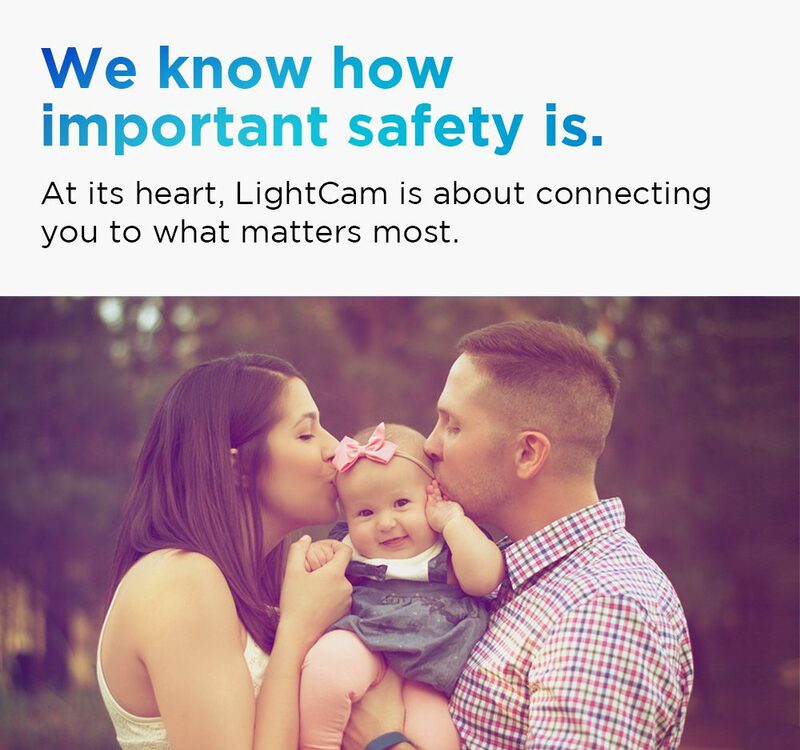 LightCam arrives with secure, encrypted onboard storage (non-removable). It’ll cover you for about one-week of video recording out of the box! No fees or additional set up required. 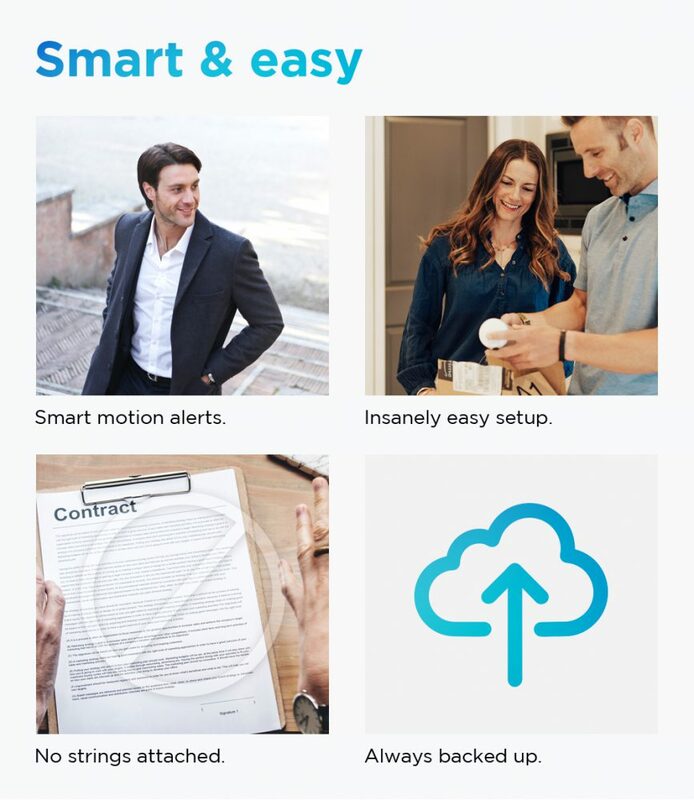 Most smart cameras can only be backed up online by paying monthly storage fees; what backup options does LightCam provide? We are all about giving you options to control your data. 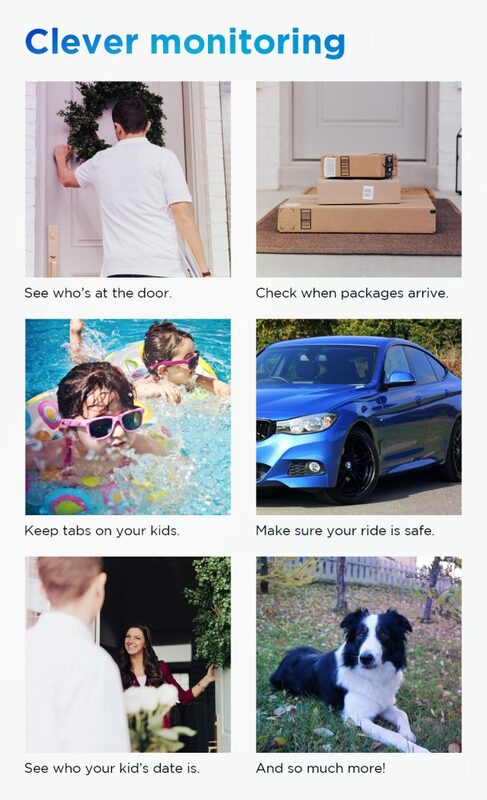 You can easily set up auto back-ups to your phone, computer, internet enabled hard drive, dropbox, or our low-cost storage provider if needed. Can I download video clips from LightCam? For sure! Within the app you can download right to your phone, or connect your phone to your computer and download the video clips to your hard drive. So now that I have a LightCam, do I need to use my light switch? Not if you don’t want to! Every LightCam comes with a convenient clear plastic switch lock to guarantee the light switch stays on. If my switch is on all the time will this cost me a ton in power? No—even if you keep your light on a lot the high efficiency COB LEDs ensure you won’t use significant amounts of power. I don’t want my light on all the time—how do I handle that? The LightCam App lets you program your light just like any smart light, meaning you can tell it to turn on based on motion, time, or a certain event. For example, you could easily set it to turn on each night at sunset and off at, say, 11 p.m.
From the LightCam App you can determine when LightCam’s light turns on and when it runs on the Infrared LEDs. Can LightCam see in the dark? Like an owl! The infrared LEDs provide grayscale night vision up to about 30 feet. If I see something or someone from my App can I talk to them? Hear them? For sure! The built-in speaker and microphone let you both hear and interact with anything going on around your LightCam. My friend has a security system and they can only have so many cameras connected. Are there limitations to how many LightCams I can have hooked up? 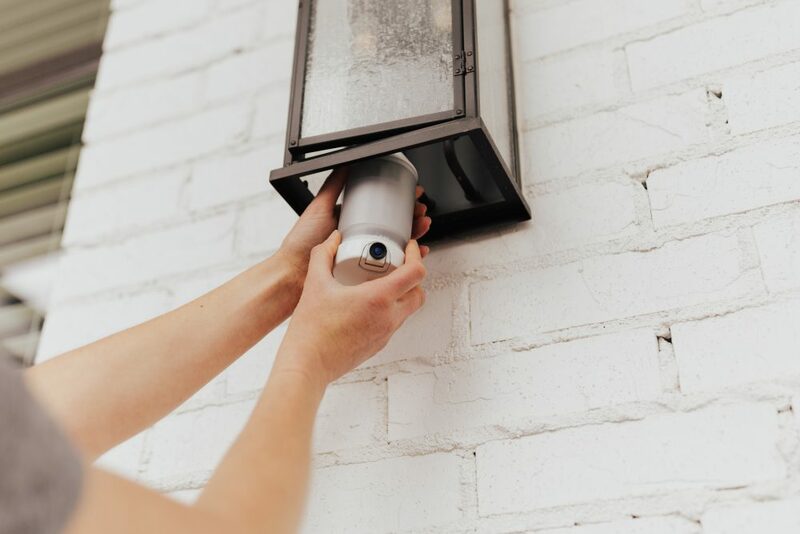 With our secure, built-in storage LightCam doesn’t choke out your WiFi like many smart cameras out there, eliminating the problems of cameras offline and camera number restrictions. I have several lights on my switch, but I only need one LightCam; what do I do about the other lights? 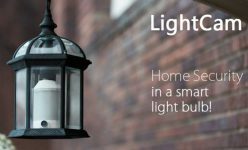 Based on demand we are open to offering a smartbulb that looks and functions identically to LightCam, minus the camera components. It would be less expensive and allow you to have perfectly matched lights on your home! What type camera is LightCam? LightCam features an HD 1080p camera and wide-angle lens. Can I use LightCam in a lantern or sconce? LightCam has a one-of-a-kind, fully adjustable lens skirt that’s designed to connect with the inside glass surface of any light enclosure, preventing the normal glare that would otherwise blind any camera. Our patent-pending solution extends out from the body, and telescopes up or down to ensure a good fit with any light enclosure. Can I use LightCam in a standard can light? Absolutely! LightCam’s body extends down to adjust to almost any light fixture depth. The lens also tilts up or down, so you can film straight down or another convenient angle to get the best aerial view possible! Will the motion sensor pick up trees and other movement? LightCam’s intelligent motion detection strives to pick up people and large objects like cars—not leaves and bushes moving. I have specific tastes in my lights—can I adjust the lighting? Once we hit a specific funding goal we will add the ability to adjust the intensity, temperature, and tone of the white-light, as well as change the colors. 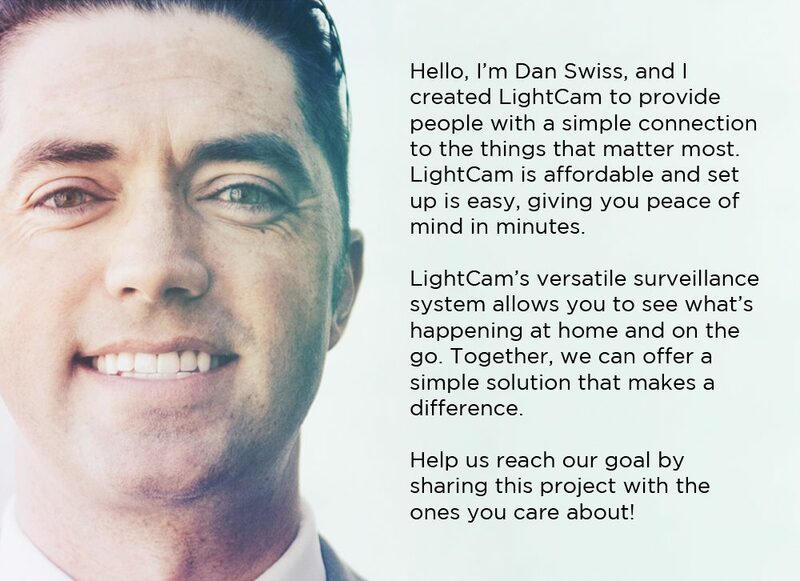 I have other smart devices in my house—can I use LightCam with them? LightCam is compatible with WiFi, Z-Wave, and ZigBee protocols. LightCammers welcome to our update. We’ve got a ton to share. First - things are moving quickly and we’ve made incredible progress. From finalizing production partners to finalizing testing of prototypes, we’re so excited to launch LightCam as soon as possible. 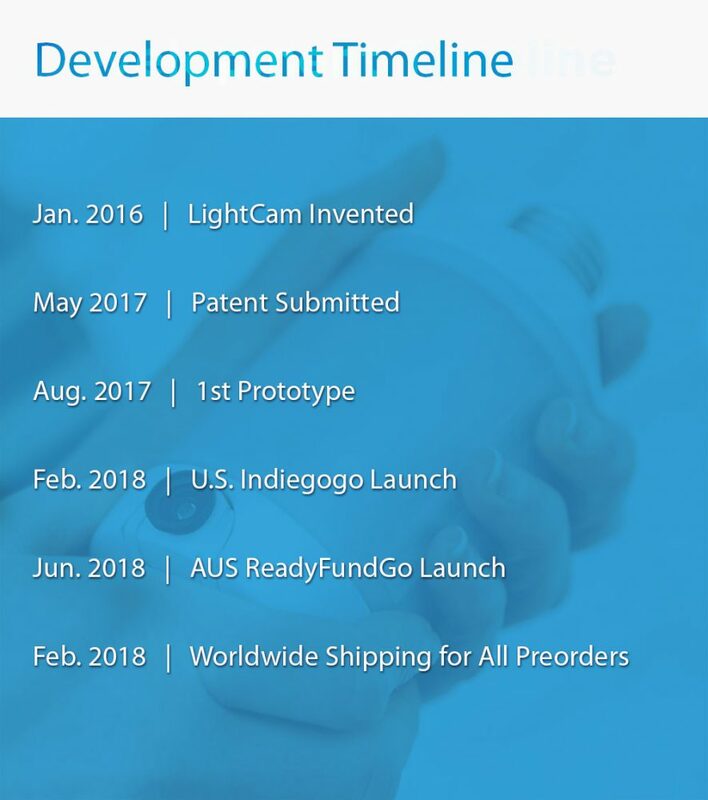 We decided to shift shipping LightCam from late this month to Feb and here’s why. We recently had the opportunity to on-board with significant big box retailer. This would mean two major developments 1. changing our expected tooling level with our manufacture. and 2) enabling us to increase LightCam's Video Light Bulb from a residential quality and performance to more of a commercial level. In speaking with our production partners this meant a mosre significant level of tolling, more time needed in testing and sourcing higher quality components and enhancing our app to provide better/additional functionality. So what does this mean for LightCam and you? The good news is you’re going to receive a higher quality and better performing product from what you originally donated to (and you don’t have to pay anything more!). 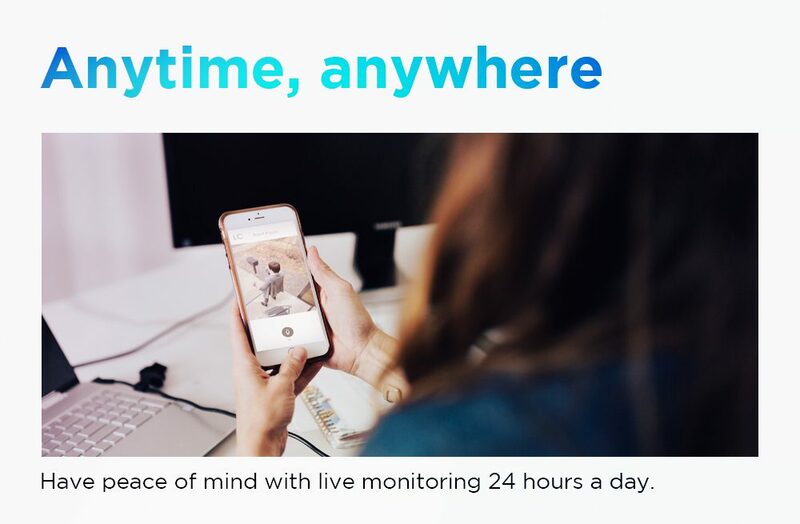 LightCam just isn’t just a high-tech gadget, it’s a way to monitor the things you care about. That’s something very special to us and we can’t rush something this important. Adding hue control, stronger longer lasting battery back up, higher quality lens (better picture), more robust LEDs (longer lasting), larger stronger wifi antennas (fewer connection problems, among other additions. Now we want to be clear. There will be no further delays due to product enhancements. LightCam is a long-term company committed to quality and customer satisfaction so we’ll be shipping these units in February (barring any unforeseen issues not under our control). As always, we strive to be transparent and want to share this journey with you so you’re in the loop. 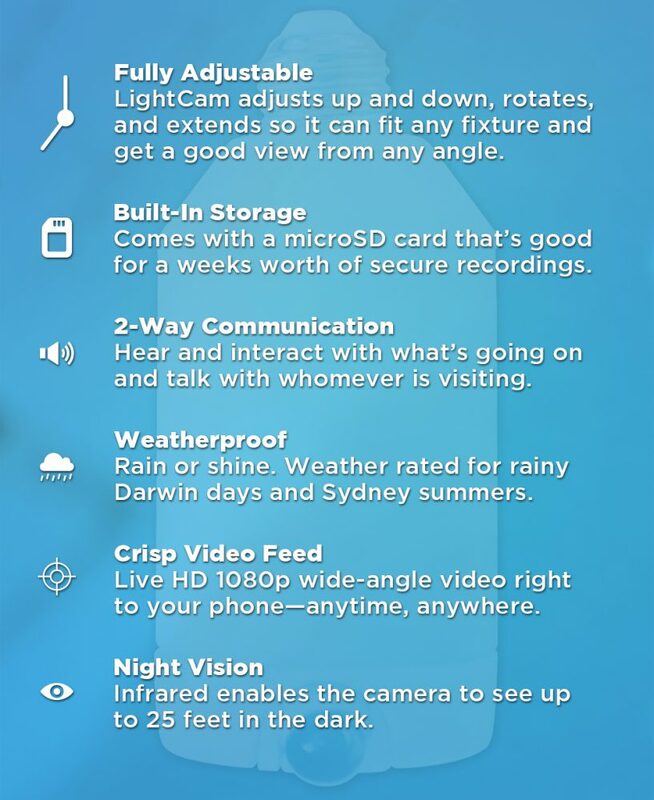 The new LightCam video light bulb will be much better and something you’ll truly come to love and rely upon. Please always feel free to msg us CustomerHappiness@LightCam.com for any questions or clarifications. Please feel free to Check out our NEW LightCam website - love to get your feedback. Visit www.LightCam.com. LightCam world! We are so excited to launch this exclusive down-under campaign! Our initial US campaign exploded! We funded the US version several times over, but as we were runing the campign we noticed heaps of backers/questions from our Southern Hemisphere family! In order to simplify and speed up manufacturing for you... and to reduce the shipping costs. (You know what I am talking about!) We commited to run a special campaign with some mate's rates just for Oz, and it's neighbors! Changes in socket, power, and Wifi are all required. Not to mention the unique certifications and such required by bigbrother... (not the old show, though there are some pretty good episodes.) The changes are not as big of a deal as it once was now that we exist in the era of ecommerce, global mass manufactuting, and advanced internation logistics. We are delighted to let you know that the crowdfunding campaign is LIVE !